Step 1. 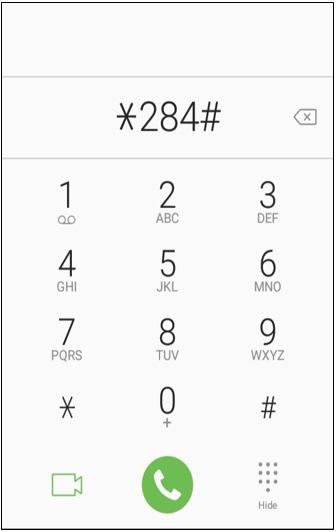 To activate a plan for a friend or family member from your phone, first dial *284# and press 'Send'. Step 2. Select 'Gift & Manage Plans' and press 'Send'. Step 3. 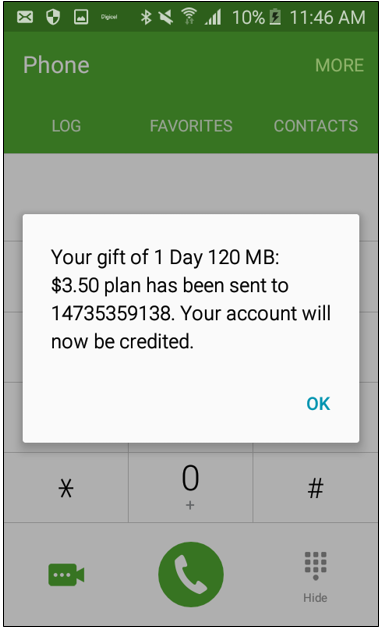 Select the option to 'Gift a Data Plan' and press 'Send'. Step 4. 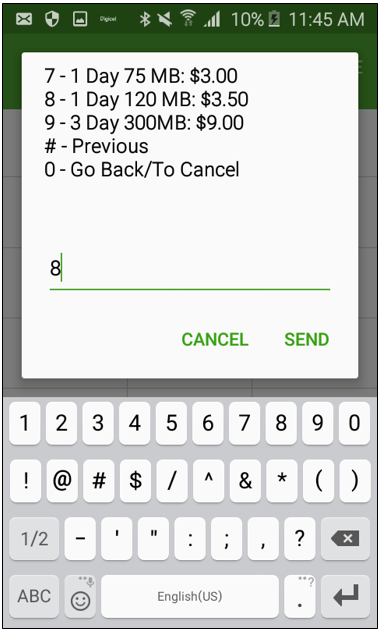 Type in the number you would like to send the gift bundle to. Step 5. A list of available plans will be shown. 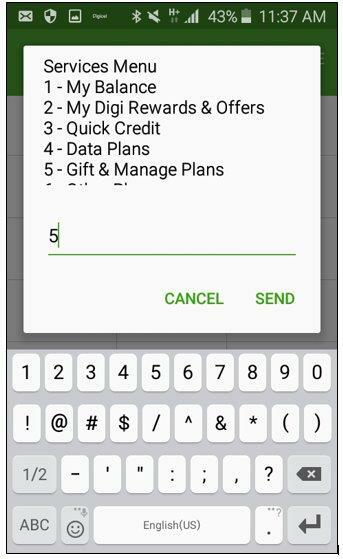 You can select the best plan for your budget and the receiver’s data needs. 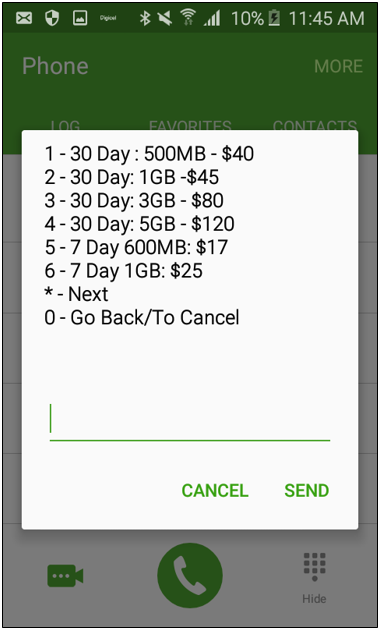 Press * and Send to see more available data plans. Step 6. 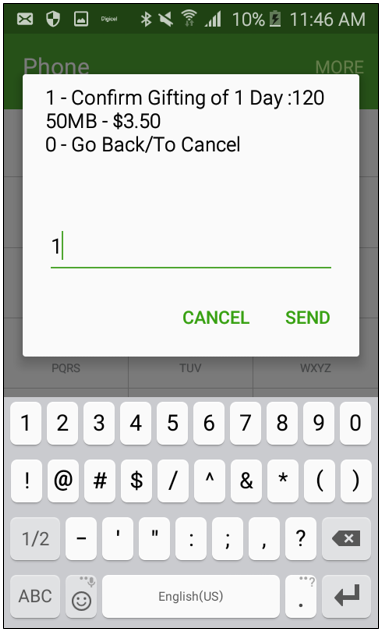 Once you have selected a plan, you will receive a prompt to verify the purchase of that plan. Step 7. 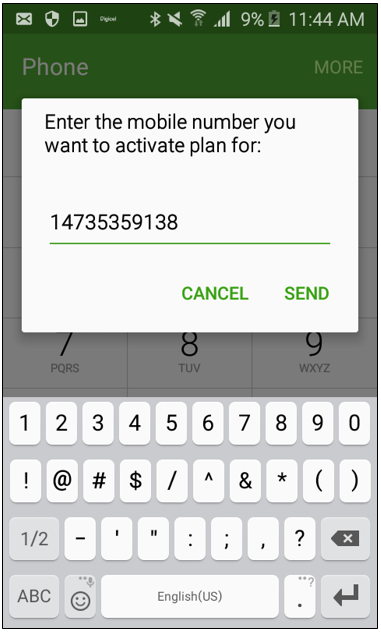 Once you have confirmed the plan activation, you will receive a pop up message to advise you the activation is underway. Step 8. The person receiving the gift will be given the option to accept or decline the plan. 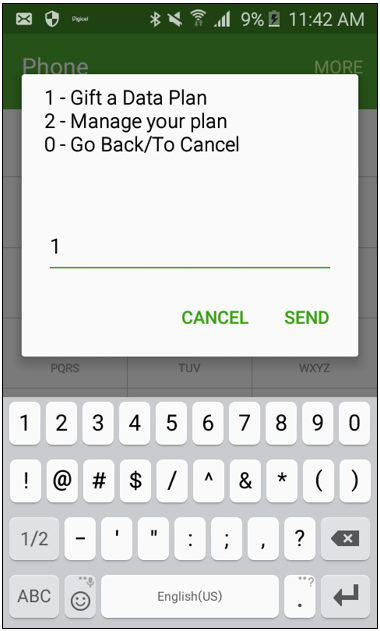 Once they accept, they will receive the plan, and the cost of the plan will be removed from your account.